Someone gave us a bunch of cucumbers so I decided to try making refrigerator pickles. I had never done it before, but it seemed easy enough. I found this recipe and altered it a bit to my liking. Here is how I made them. To make the brine, put water, vinegar, and salt in a small saucepan and heat to boiling. Remove from heat. Sterilize your jars by running them through the dishwasher and then not touching the insides or lip again. Pack each sterilized jar with prepared cucumbers, 1 sprig of dill, 1 clove of garlic, 1 bay leaf, and some of the mustard seeds. Pour the hot brine into the jars, filling the jar up to the inner lip (about ½” from the top). Screw on a lid and let them sit out on the counter for an hour or two to cool, then put in the fridge. Your pickles will be ready in about a week, depending on how thick the cucumbers are. Makes 4 jars of pickles. The original recipe called for black peppercorns and red pepper flakes, but I left those out because I didn't want it too spicy. I'm glad I did, because they turned out a little spicy anyway. I sliced the garlic instead of just cutting it in half. That could be part of it. When I tried them and found that they were spicy, I strained all of the solids (mustard seeds, garlic slices, dill, and bay) out of the liquid so that they wouldn't continue to get spicier. You can also use this recipe to pickle baby corn and carrots. This was fun! I will definitely do it again next summer. 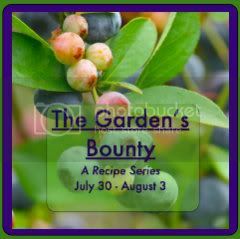 I'm linking this recipe us as part of The Garden's Bounty recipe blog hop series hosted by Savannah of Hammock Tracks. Today's theme is pickles, preserves, or salsa. These refrigerator pickles are a great way to use up all those cucumbers from your garden. Check out these other great ways to preserve your garden's bounty below! How fun, I've always wanted to try this. I've heard you should only use the small cucumbers for pickling, any idea if this is true? Oh YUM! This is a must try .. 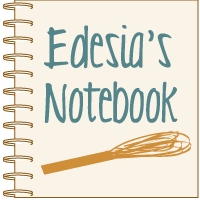 I have had it bookmarked for some time but never done it... will definitely be making it soon! I don't know. Mine were kind of medium-sized, I would say. I hope you like it, Tasha!